Some of our users recently became aware that Frontpage Server Extensions are no longer available on the server. The fact is, Frontpage Server Extensions were killed off in 2006. The extensions, the module that allowed them to work, has been running on life support ever since. A recent update to the server finally killed them off for good on all cPanel and Linux based web hosting servers. This is a good thing, because the extensions were littered with security holes and have not been updated since 2006. Is Expression Web the same as Microsoft FrontPage? Is it a replacement for FrontPage? No. 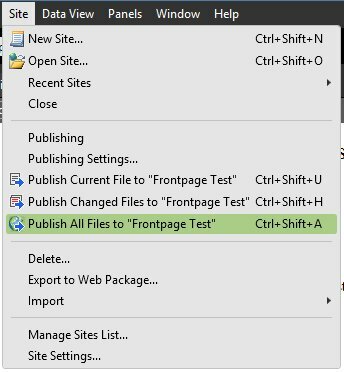 FrontPage was a great product in its day, but the Web has evolved substantially since the days of FrontPage. The complexities of designing modern Web sites demand that designers learn a more complex tool. FrontPage and Expression Web have little in common. Can I use FrontPage Server Extensions and still get point-and-click design elements without learning new design technologies? The FrontPage Server Extensions are considered deprecated technology and are being phased out of Microsoft products in favor of modern standards. Designers who use FrontPage Server Extensions components are likely to encounter problems with modern Web browsers. 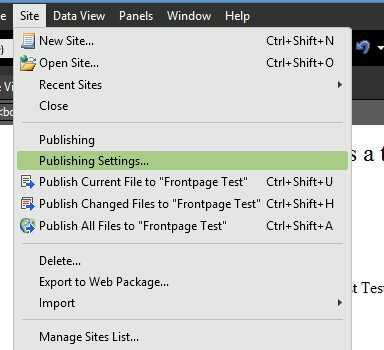 Many hosting companies are also dropping support for FrontPage Server Extensions due to the fact that Microsoft hasnâ€™t released a new version in many years. The good news is, you can still use Microsoft's Expression Web 4 to design your website and publish it using the more modern FTP standard. Below are instructions for doing so. 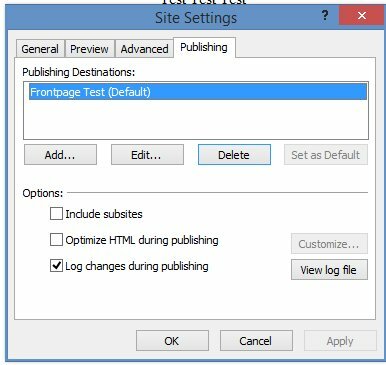 To begin, you need to set a Publishing Method in Expression Web 4. Click on Site and then Publishing Settings. Then move over to the Publishing tab. 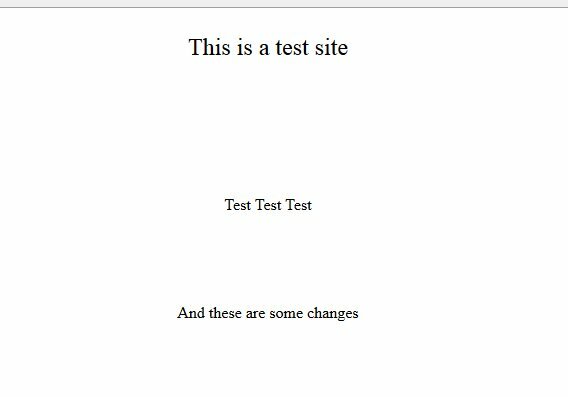 If you've never set up a publishing method, this should be blank. Click on Add to add a new Publishing Method. (Replace example.com with the domain name of your web hosting account. Now you can design the webpages you want for your website. When you are finished you will want to publish those files to your website. When publishing has finished you can go to your website to see the changes.